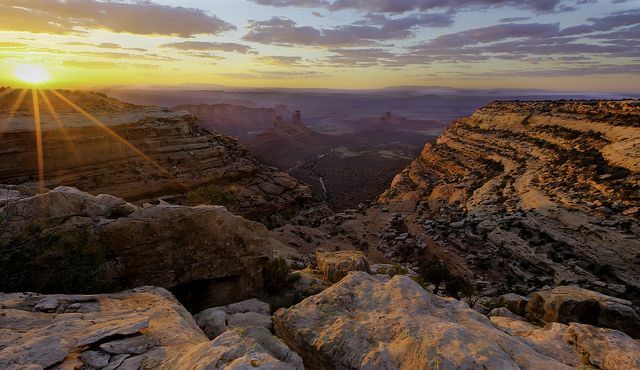 Hundreds of thousands of acres of land will be more vulnerable to looting, vandalism, mining, coal and oil extraction after President Donald Trump slashed protections for two Utah monuments on Monday. Trump announced Monday at the Utah State Capitol that Bears Ears National Monument will be reduced to 228,784 acres from 1.35 millions acres into two separate areas called Shash Jáa Navajo and Indian Creek. A second monument, Grand Staircase-Escalante, will be reduced to half its current size and split into three separate chunks. Bears Ears was designated as a National Monument under the Obama administration last December, just before his second term as president ended. 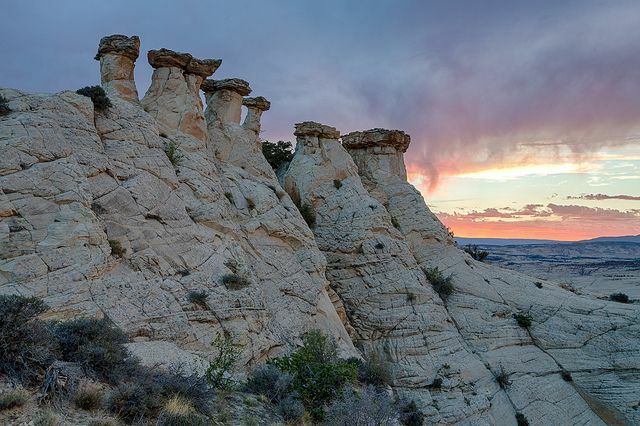 The Grand Staircase-Escalante National Monument was designated as such in 1996 by former President Bill Clinton. "The families and communities of Utah know and love this land the best, and you know the best how to take care of your land," Trump said at the Utah State Capitol. "You know how to protect it." He added that the "whims of regulators" located "thousands of miles away" don't care for Utah's land the way residents do. Public lands will be for public use, he said. In regards to Bears Ears in particular, Native American tribes argue otherwise. 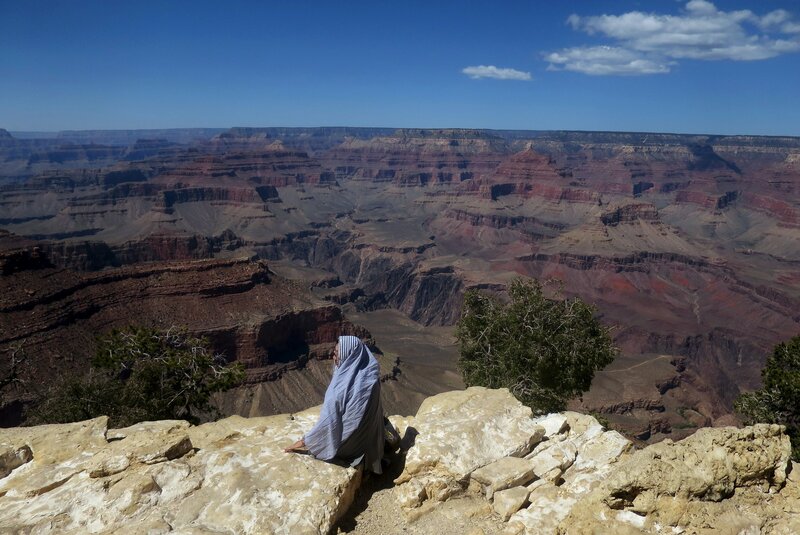 Tribes have been attempting to protect this land for 80 years—with a ramp-up of efforts beginning five years ago, according to Natalie Landreth, senior staff attorney for the Native American Rights Fund. 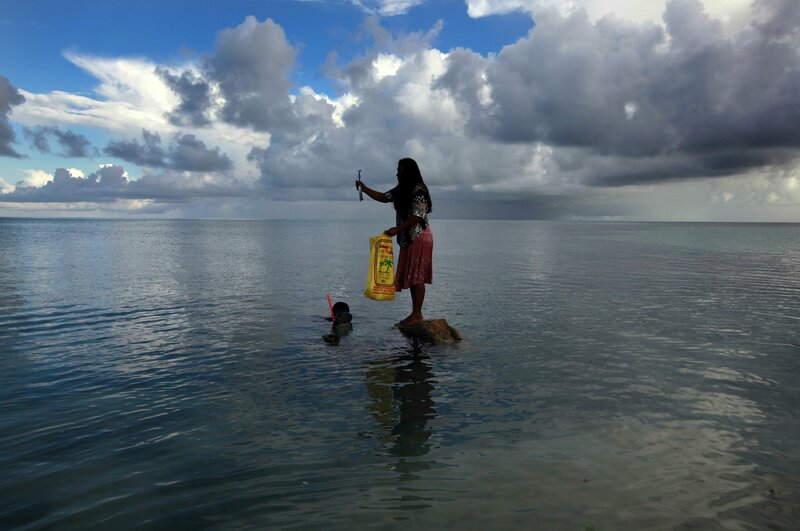 The land has historical and modern importance for tribes, she said. More than 100,000 archaeological sites rest there. The protections secured under the Obama administration were in part a reaction to the decades of looting and vandalism. In the past decade alone, truckloads of Native American artifacts were confiscated, and 24 people were arrested in June 2009 in Utah. The undercover sting operation cited 256 artifacts as direct evidence of the illegal looting—but experts estimated that more than 40,000 artifacts were seized. A 2,000-year-old pictograph site was vandalized in 2014. The following year, four burial sites were dug up and looted and prehistoric walls torn down. In January 2016, a petroglyph was removed with a rock saw and chisel, damaging ancient rock art. Names were scratched into ancient caves that March—the same month a fire ring was made from material from a 2,000- to 3,000-year-old archaeological site. These are just a few incidents on the lands that were formally protected for nearly one year, until Monday. The debate around Bears Ears brought together five tribes, which Navajo Nation’s Attorney General Ethel Branch called “unprecedented." Five tribes—the Hopi Tribe, Pueblo of Zuni, Ute Mountain Ute Tribe, Ute Indian Tribe and the Navajo Nation—formed the Bears Ears Inter-Tribal Coalition in July 2015 to conserve the lands that made up Bears Ears National Monument. The tribes planned to file a lawsuit in response to Trump's announcement on Monday. "I think it speaks to, one, the significance of those lands just in terms of the historic and cultural value of them for all of our nations," Branch told Newsweek. "But also, the healing quality of those lands." "The coming together of the coalition was a really special thing," she added. 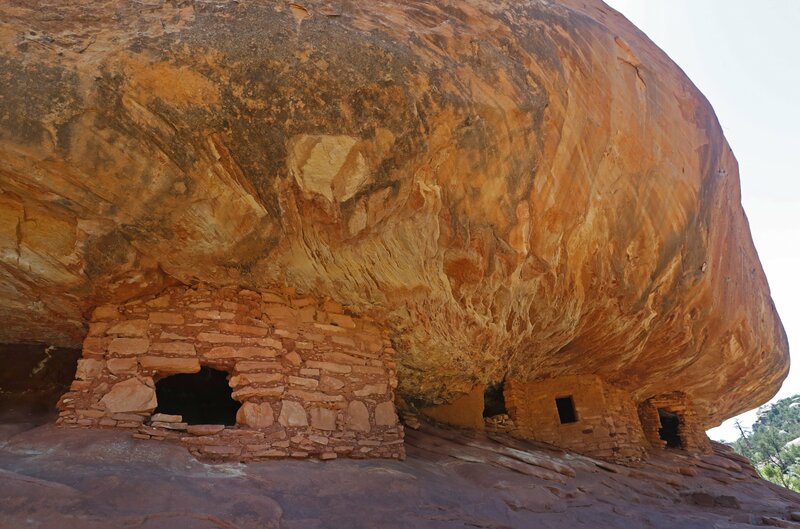 On what was once Bears Ears, there are countless archaeological sites and ruins—of which tribes often trace back their history and lineage and where there are areas used today for tribal ceremonies. 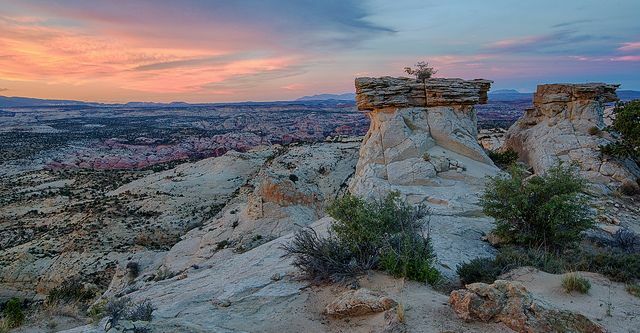 They are now threatened by reduced protections from looting and vandalism and potential resource extraction of uranium mining at Bears Ears and coal extraction at Grand Staircase-Escalante. Newspaper Rock—one of the most famous rock art sites—boasts 650 petroglyphs that cover the rock face. Ancestral Puebloan people created the markings over the course of hundreds of years and generations. 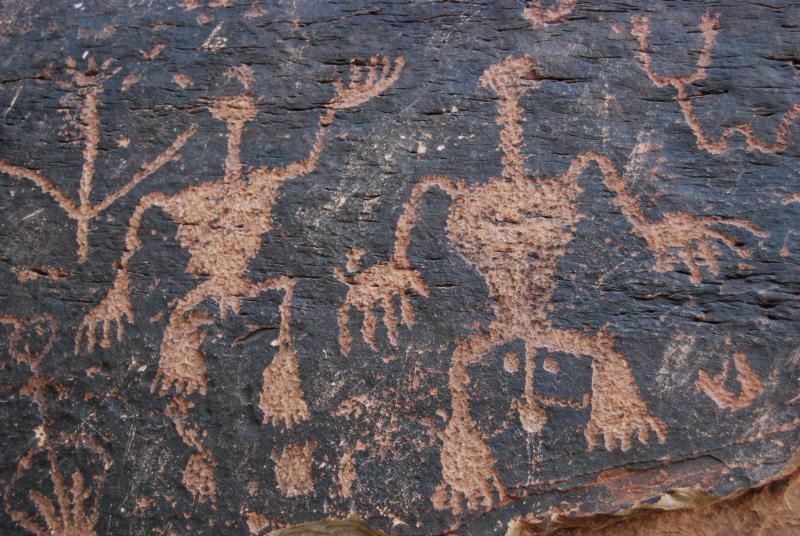 Modern interpretations of the petroglyphs include family symbols and spiritual meanings. The Procession Panel holds petroglyphs, and the River House is nested beneath a sandstone cliff along the San Juan River, where rock art, pottery shards and stone tools remain on the ground. The Grand Gulch is also located on these lands, often called an “outdoor museum” because of the rich concentration of rock art and ruins. 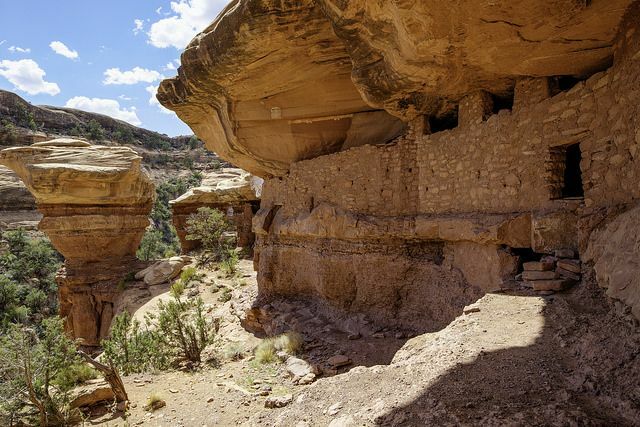 Anasazis once lived here between 200 and 700 A.D., and their dwellings, buildings, tools, pottery and art remain, which, without protections under a national monument, would be more vulnerable to looting and vandalism, supporters of the monument argue. The rock art, cave dwellings and artifacts are seemingly endless. Landreth said that the sites in Bears Ears are so densely packed you can hardly walk an eighth of a mile without stumbling upon a site. 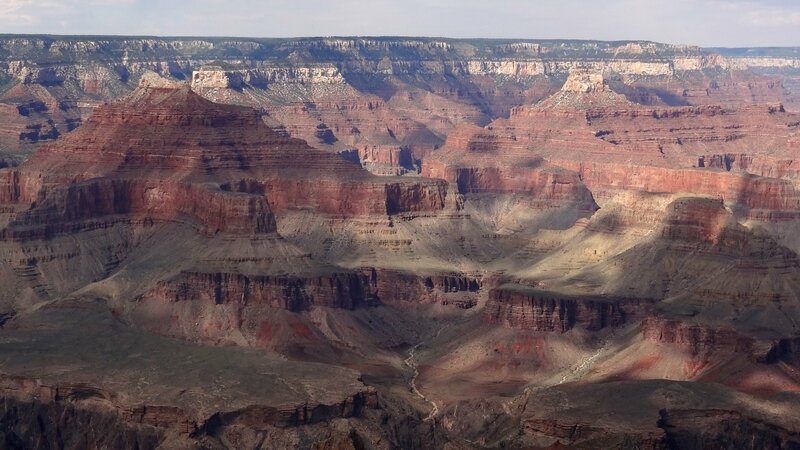 But in addition to the rich ancient history and culture for the five tribes, these lands served as a "stronghold" for Navajo people in the late 1800s—who were escaping capture by the U.S. Army, said Branch. Today, many people trace their lineage back to this time period, when Navajo people sought refuge in the red cliffs of southeastern Utah. Particular locations on Bears Ears serve as a place for medicinal plants and ceremonies that still take place today, she said. “It really is a source of healing and strength for our people, and our ability to access that and preserve that ensures that we’re able to pass on our beliefs and practices to our children and ensure our continued way of life as Navajo people,” Branch said. Dan Hartinger, deputy director of parks and public lands defense at the Wilderness Society, told Newsweek in early November that reducing the monuments would be "illegal and drastic," and said it could open both monuments to "damaging development that could risk destroying the very treasures they were intended to protect."